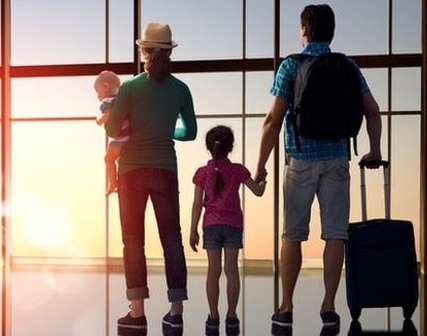 THE number of penalties issued to parents for taking their children on holiday during term term has rocketed by more than 1,500 per cent in the last five years. Parents in Essex have been fined more than £750,000 during that period. From just 409 Unauthorised Leave of Absence Penalty Notices (ULAPN) issued by Essex County Council in 2012/2013, last year the council issued 6,612 of the penalties in 2017/2018. The total fines paid in respect of the ULAPNs each year has increased from £34,990 to £347,330 – a total of £760,000 worth of fines levied on parents in the same period. There has also been a sharp spike in the number of prosecutions from 31 in 2012/13 to 183 in 2017/2018. The total number of convictions in the period currently stands at 147. Iain Gunn, headteacher of St Peters Primary School in South Weald said: “I think it’s the state of the economy maybe – people finding it harder to afford holidays in term time. And there is a huge difference in price. “We have families where it is less than half price if they go three or four days early. I think that has somethig to do with it. “Maybe schools and Essex County Counncil are putting more through for fines. “I think the figures are a bit misleading. I don’t think there has been huge change in the numbers of families taking holidays in school time. He added: “I think family holidays are really important and anything that could be done to allow familes to have holidays, then I would support anything like that. “Some of our families can’t afford to have a family holiday. “There are other times where people have jobs who can’t take it off then. “I think families should have time together. But on the flip side you do notice it when they aren’t there. One parent from Brentwood said in response to the figures: “The focus should not be on parents but on holiday companies and airlines who increase prices substantially in school holidays. “Yes there are issues of supply and demand-but shameless profiteering is another thing. Another parent added that the Government could offer tax relief to travel companies who offer affordable holidays during school breaks. Essex County Council says it has a duty to ensure parents or guardians carry out their legal responsibility of making sure their child attends school. If unauthorised absences continue, you may be issued with a £60 penalty notice, per parent/carer, per child. Failure to pay will lead to prosecution with maximum penalties of up to £2,500 or a custodial sentence. Recent changes from 1 October 2017 to the Essex Code of Conduct for Penalty Notices mean a penalty notice may be issued if ten unauthorised absence sessions have occurred during a ten week period. A penalty notice may be issued if there are six or more unauthorised sessions due to a holiday taken during the first two weeks of September (this will apply for holidays taken during September 2018 onwards). 4 Responses to "1500% increase in holiday absence fines"
Stop the greedy b*****ds pushing up prices during school holidays then. It’s always been the case that holidays went up in price when schools break up. It’s never been about shameless profiteering it is a simple supply and demand. Try booking a train, a plane, a hotel. The more people want it the more the price goes up. I like many other parents in the past had to swallow and pay up to have a family holiday during school holidays. Am afraid it’s just one of those facts of life. When the fines are less than the money saved on the holidays, it’s still cheaper to go on holiday during term time. It’s the same as motorists cash cow and easy money.